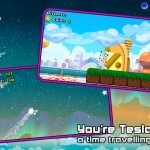 An epic time traveling endless runner exploring unique landscapes on land and in space! 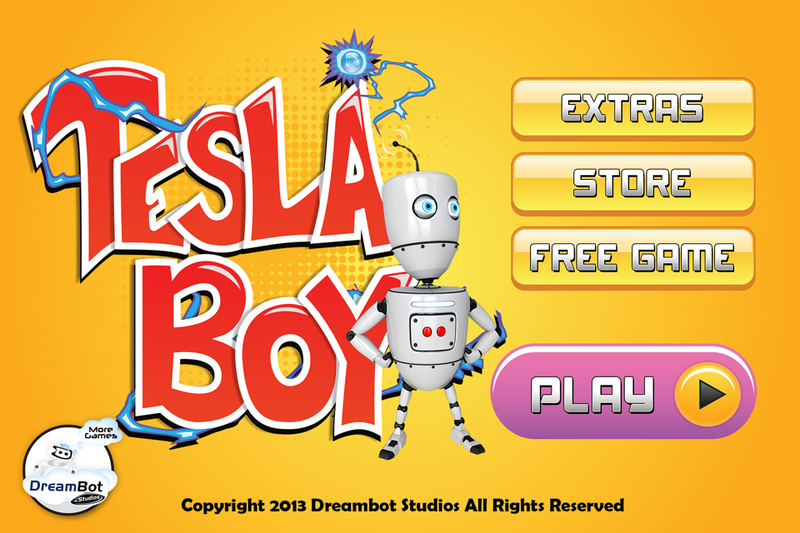 Reach new dimensions as you play as Tesla Boy, a time traveling robot who must find his creator. 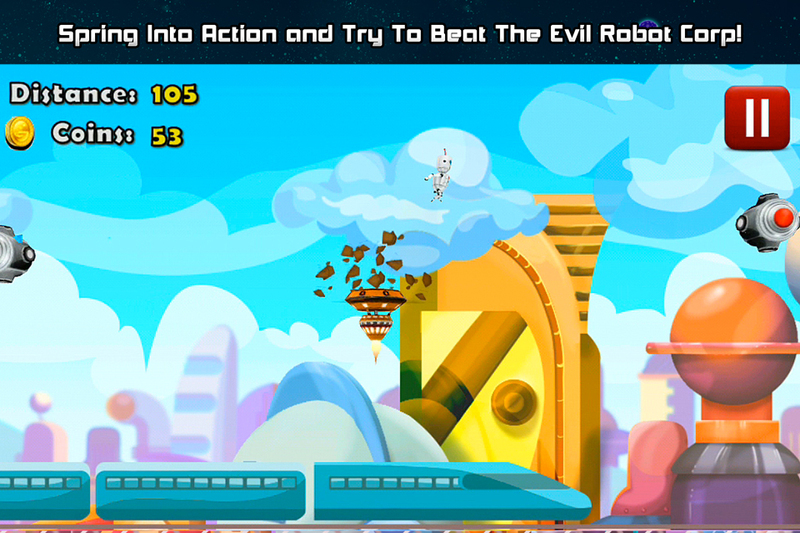 Run and fly at blazing speeds while on the ground or catch a jetpack to soar thru the skies into space. Find hidden treasures to upgrade your Tesla Boy and help your Tesla Boy find his maker. 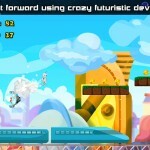 Compete against friends on this futuristic adventure. 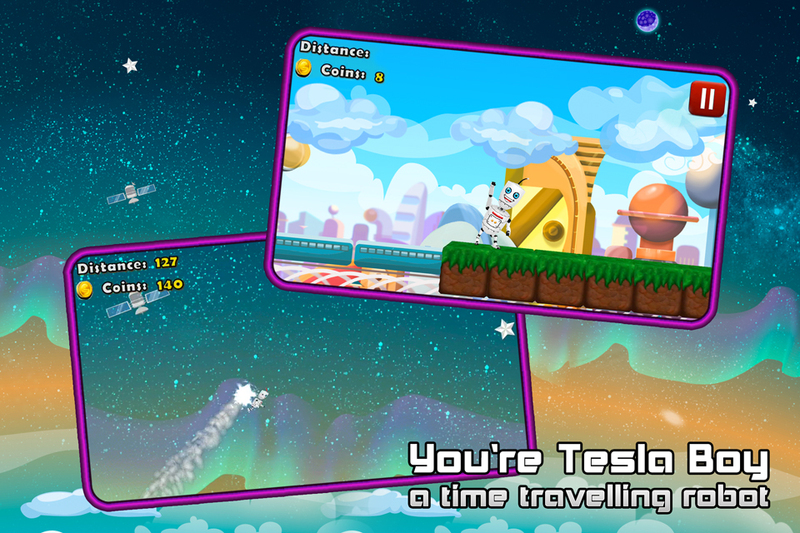 A complete endless runner which focuses running on land and jet packing in space. 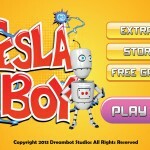 An incredible adventure exploring and acquiring hidden treasures to upgrade Tesla Boy. 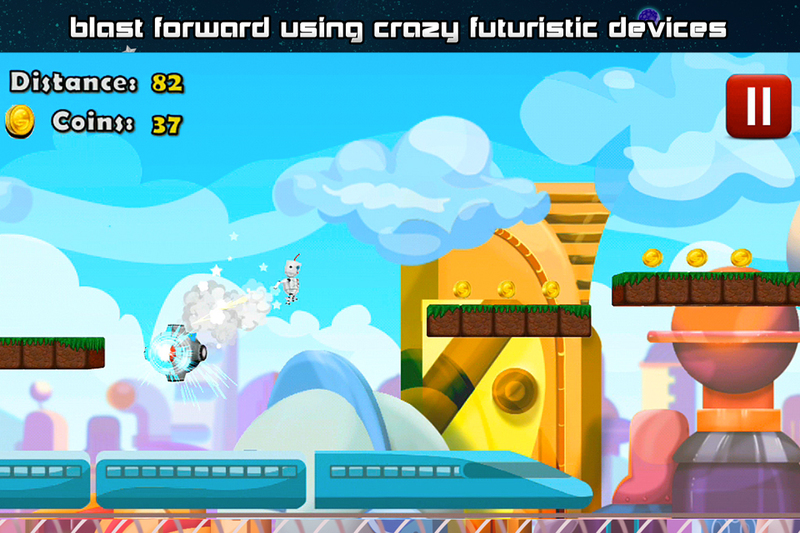 Find explosive power ups that can boost you into a whole new dimension of fun! Simple, yet addictive one button game play controls to bounce or fly over mysterious monsters and challenging traps. Collect new treasures that help you race through time to find your almighty creator. Compete with friends and show the world your the best! Amazing power boosts sends into the stars!